Welcome to our community website supporting our proposals for new homes and public open space on land off Hayes Way, Northfields Park, Charlton Hayes. The site forms part of the former major mixed use development where Outline Planning Permission was granted in 2008. The proposed site formed part of the Outline Planning Permission for up to 26,940sqm of B1 development. Since granting the permission in 2008 site remains undeveloped. 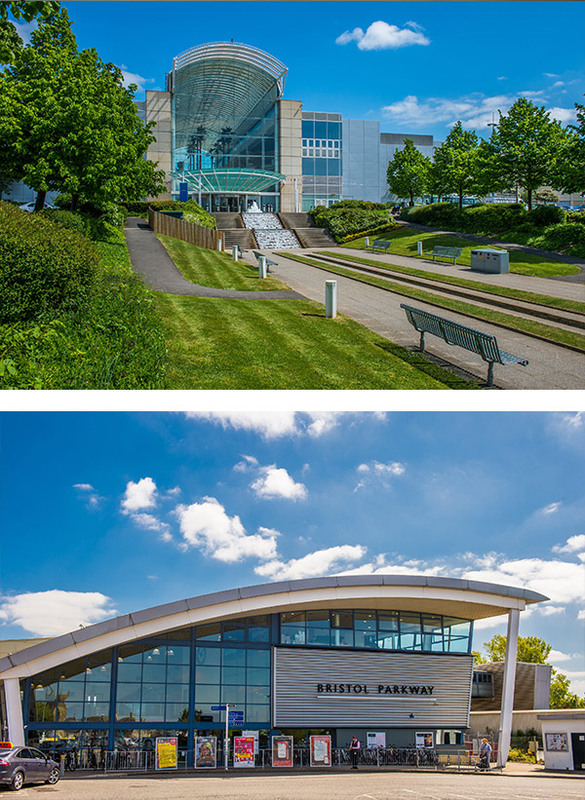 In December 2014 an outline planning application was submitted by Arlington Business parks GP limited for up to 120 units, B1 office space & 650sqm retail (A1-A5). Planning permission was granted for this site in 29th April 2016. 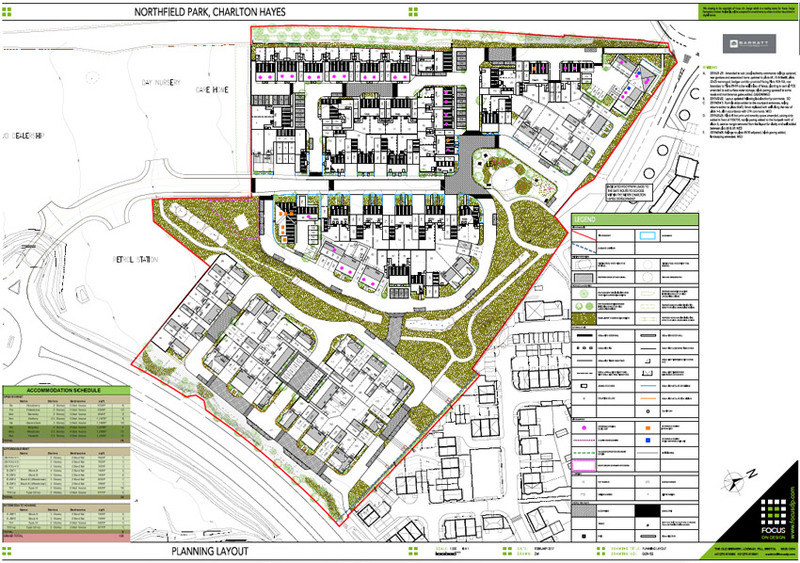 Barratt Homes submitted a reserved matters application to South Gloucestershire Council on land known as Northfield Park, Charlton Hayes in late 2017. The scheme consists of 120 1,2,3 and 4 bed homes and is located to the west of the wider Charlton Hayes development. There is provision for open space, retained trees, allotments, LEAP, affordable housing and connections into the adjacent wider development. The reserved matters application was approved on 29th March 2018. Currently undeveloped adjacent to the successful Charlton Hayes development, The site benefits from Outline Planning Permission for up to 120 units, office and retail space on 6.24ha of land. The scope of this application relates to the residential development element. The site is currently accessed from a single existing vehicular access from Hayes Way. A spur into the site already exists from the Brabazon roundabout on Hayes Way. The Site is highly accessible, located within 1.6 miles of J16 of the M5 and 2.4 miles from Junction 17 of the M5. Public Transport links are excellent. The closest bus stop is the Cribbs Causeway Coach Park stop, which is 170m from the site. There is also a new bus stop proposed alongside the new Bovis development to the northeast of the site. The site formed a former part of the aerodrome, with former taxi-ways/ roads and ancillary buildings, now demolished. There are no existing buildings on the site but there are a number of trees of varying quality on the site, most notably including a group forming a tree and hedgerow strip through the middle of the site. The Reserved Matters Applicaton for 120 units was approved on 29th March 2018. We will be starting on site mid – 2018. The scheme consists of 1,2,3 and 4 bed homes and is located to the west of the wider Charlton Hayes development. There is provision for open space, retained trees, allotments, LEAP, affordable housing and connections into the adjacent wider development.